← Generations of Betrayal: Lies, Lies and More Lies by NSLeumas Book Blast – Win a $25 Amazon Gift Card! 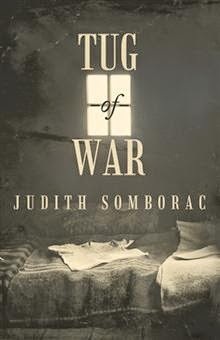 Tug-of-War by Judith Somborac Book Blast – Win a $25 Amazon Gift Card! In 1942, in the midst of World War II, three factions struggle for power and control over Serbia: the Royalists, the Partisans, and the Nazis. For those living there, life was put on hold indefinitely while they coped daily with the terrorization of war—an especially disheartening situation for the country’s young people. Fifteen-year-old Miriana, an only child, lives in a small, two-bedroom house in Bela Palanka, Serbia, with her parents, who farm and run a saw and gristmill. Their tiny home now accommodates her mother’s sister and nephew, who have been forced to evacuate from German-occupied Belgrade. Miriana’s aunt is frequently called upon by the Germans to translate for them—a task made more stressful by the fact that the family is also hiding a Partisan soldier in the cellar of the house. Being caught means certain death. Meanwhile, Miriana’s best friend, Stefan, supports his widowed mother and aging grandparents on a nearby farm; he resents having to abandon his aspirations for an education and his passion for the violin to run the farm. Their existence is fraught with the angst of evening curfews, blackout curtains at night, unforeseen air raids, and conflict with the Nazis, but family, friends, and small pleasures propel them through a war that threatens their happiness and their lives on a daily basis. Judith Somborac is an occasional teacher and a ski instructor who works in both capacities with children and teenagers. Judith has a BA in English and French from the University of Guelph. She currently lives in Collingwood, Ontario. Judith is giving away a $25 Gift Card! This giveaway begins May 25 and ends on June 5. Winners will be contacted via email on June 6.